It is perfectly normal to experience mild anxiety. The Journal of Individual Differences stated that anxiety in small amounts has the ability to give people the motivation needed to excel at their duties or tasks. Unfortunately, the some 40 million American adults suffering from an anxiety disorder, stress and fear are often so paralyzing it actually starts to interfere with their relationships, jobs, home life and other daily responsibilities. To ease the often crippling effects of anxiety, individuals suffering from it often resort to using drugs or alcohol in order to self-medicate and find some sense of relief. However, what often starts as a seemingly “simple solution” can quickly slip into dependency which can ultimately end in addiction. Eventually those that are self-medicating will be trapped in their own simple solution. Using drugs or alcohol as a way to self-medicate for an anxiety disorder can create a vicious cycle of dependency and addiction that isn’t easily broken. For most people, it is normal to experience a normal amount of anxiety in a time of stress. A new job, doing something scary or new, a big test usually produce some feelings of anxiety. It is considered perfectly normal to experience a healthy amount of anxiety, worry or concern during these events or the time leading up to them provided the feelings subside once the event is over. That said, someone suffering from an anxiety disorder, these feelings of worry rarely subside, in fact, they tend to get worse over time. People suffering from the effects of anxiety or an anxiety disorder can’t stop their emotions from disrupting their life. Social, Professional, familial and/or academic obligations will often be overshadowed by the sense of dread that comes as part of this disorder. Those with anxiety disorders have a difficult time maintaining relationships, performing their duties at work competently, sleeping and dealing with small disruptions. When these difficulties continue in their lives, they end up causing more anxiety and more stress. Anxiety is a broad term that covers a wide variety of conditions and symptoms that require specific treatment for the best chance at long-term recovery. When someone struggling with an anxiety disorder takes one drink or one pill and they find the debilitating side effects of anxiety disappear, they can often seem like the most effective form of treatment. However, using substances as a way to deal with anxiety is often a clear sign of addiction or substance abuse. Although this may seem obvious to those without any mental health disorder, people who suffer from mental health disorders and anxiety disorders cannot always see how dangerous this way of thinking can be. Overtime, as an individual continues to abuse drugs or alcohol and self-medicate, the cycle of dependency and addiction grows deeper and deeper. As the cycle continues and substances become the solution to get through any and all of life’s difficult moments. The brain begins to rely solely on alcohol or drugs to manage everyday life. Eventually, using drugs or alcohol to cope will create its own anxiety-inducing side effects and the vicious cycle continues. According to the Anxiety and Depression Association of America, people with an anxiety disorder are two to three times more likely than the general population to have a substance abuse disorder. It is important that anyone that is struggling with one or more symptoms of an anxiety disorder seek professional treatment for this disease before they start self-medicating. When someone is suffering from a mental illness, such as anxiety, in conjunction with a substance abuse problem, it is known as a co-occurring disorder. While a co-occurring disorder is treatable, there can be challenges to treating the two separate conditions can be not only difficult but also timely. Addiction and anxiety can begin working together, when this happens the two conditions will feed off of each other and can create a destructive cycle. The good news is, both anxiety and addiction are completely treatable diseases. When treating co-occurring disorders, patients traditionally receive a blend of treatment options that will work together to address the cause of the anxiety and addiction. Treatment will consist of different treatment modalities including behavioral therapies support, meetings and often medication will be prescribed to help reduce the symptoms of anxiety. It is important to remember when treating a co-occurring disorder that the cycle must be broken, and this starts by finding the root of the addiction or anxiety. Once the underlying cause has been identified, it can then be treated and break the patterns of substance use. Treatment professionals will also be able to teach clients techniques cope with their anxiety in a healthy way instead of using drugs or alcohol. Although there is no cure for conditions like anxiety or addiction, with the right techniques, treatment and support systems in place, those suffering from both can go on and life a full and fulfilling life in recovery. 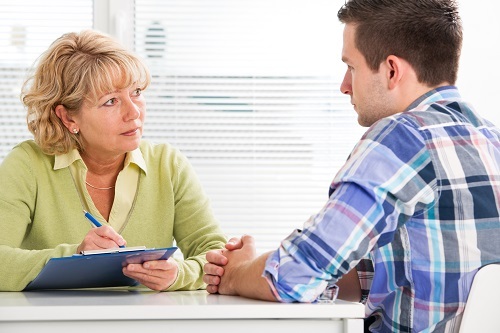 Addiction Therapeutic Services provides drug and alcohol addiction treatment to adult males and females. Most private insurance accepted. 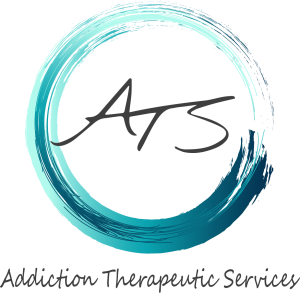 © Copyright 2015-2018, Addiction Therapeutic Services. All rights reserved.